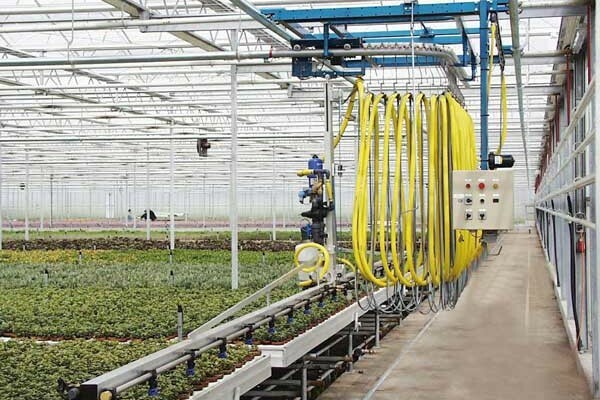 The Visser Irrispray-SA/HS is a Semi-automatic irrigation and spraying system including an overhead transport trolley. The Irrispray-SA/HS is an overhead mobile irrigation and spraying system. The transfer trolley can be manually transported from bay to bay. 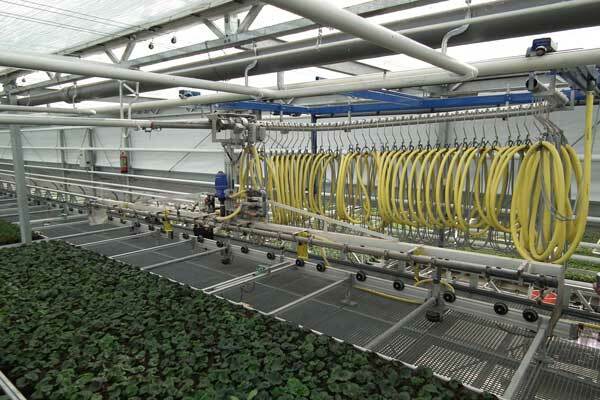 The height of the boom above the plants is adjustable by use of a spindle on the height setting. Pesticides can be appreciated by use of a proportional dosing unit.